Have you ever JOINED an MLM Program that provided you with a way to earn money on everyone you recruited starting with day one? 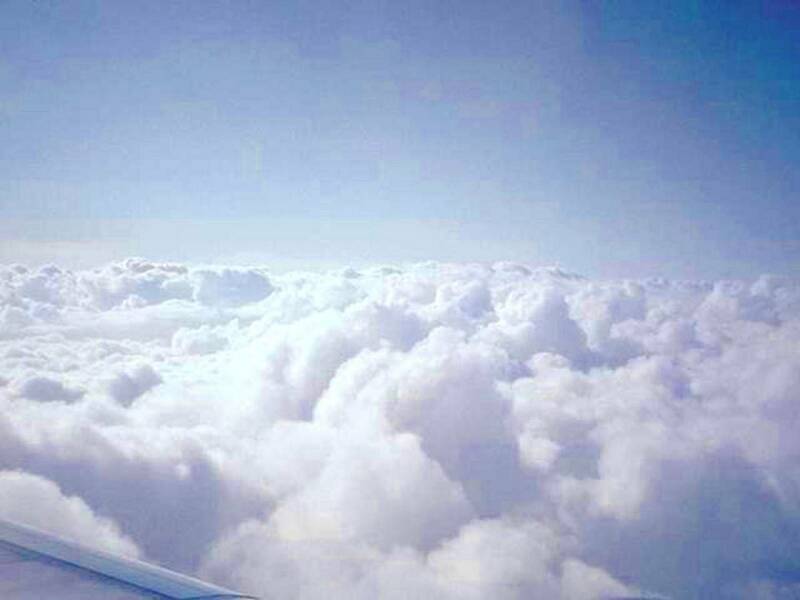 For everyone you personally recruit, you get paid $10.00 the same day they join the Program. In fact, the money comes to you, so you get your $10.00 first. Many MLM Programs start off good then someone doesn't do anything and it puts a damper on things. One person not recruiting can stop a leg in an MLM Program unless someone else recruits for them. We don't have that problem with this MLM Program because you are Offering not just Printing & Mailing, but a 50% dealership for the Printing & mailing. Everyone can sell Printing and Mailing and make $10.00 commission selling it to anyone. The beauty of this Printing & Mailing MLM Program is, if they purchase a 1,000 Printing & Mailing from you, they are automatically entered into the 5X3 MLM Program plus getting their circular printed & mailed to 1,000 hot prospects and YOU are $10.00 RICHER! If they join this Great MLM Program simple to work for that $500.00 Payout, they automatically get a Print & Mail Dealership because that is the Service being sold with this MLM Program. Once you have filled your 5X3 Matrix, you are entered again somewhere in your downline to start earning another $500.00 and it goes on and on. Because you are selling Printing & Mailing, you have millions of good prospects out there to recruit from. The need for Printing & Mailing is in high demand and you can offer them a 50% discount, commission or Dealership. All everyone needs to do to make this MLM work, is to just sponsor 5 people in their first level. You can do this by offering a 1,000 Printing and Mailing with a 50% dealership! If everyone just signs-up 5 people on their first level and those 5 signed up 5 people on their first level, those 25 people would be in your 2nd level. When those 25 Dealers sell just 5 Print & Mail orders there would be a total of 125 people in your third level. That is a total of 155 people in your completed 5X3 MLM Matix and you would be getting a check from the Prime Source after all names are verified and on pay day. I also provide my personally sponsored recruits with a downline chart so they can keep track of who is in their downline and where each person is. As I stated earlier, the Prime Source stated that he would pay another $500.00 to you each time someone you sponsored fills their downline. With these charts, you can keep track of everyone YOU PERSONALLY RECRUIT, so you can help them fill their downlines for that Extra $500.00 BONUS. If you are a Beginner or a Seasoned Mail Order Pro, here are Four GREAT Programs in One. 1.) You make money with your Program that is Printed & Mailed to 1,000 Hot Prospects. 2.) 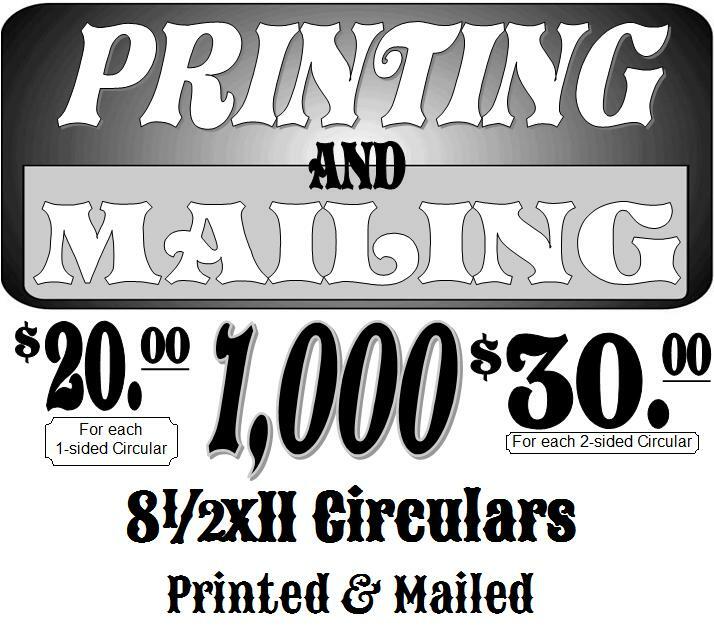 You can offer a 1,000 Print and Mail Service for just $20 for a 1-sided circular. You will keep $10.00 on every sale you make for each 1-sided or 2-sided Circular Printed & Mailed to 1,000. 3.) When you sell a 1,000 Printing & Mailing to a customer, She or he will be entered in a 5X3 MLM Forced Matrix (which is a total of 155 people), with No Monthly Dues, No Sales Quotas and No Qualifying Requirements! You will receive a $500.00 Check when your 5X3 Matrix is Full. 4.) Every time someone YOU Personally Sponsor cycles, You are Paid a $500.00 Bonus. Take advantage of my Specially designed Flyer to Sponsor as many people as you can so you can earn money selling the Printing and Mailing AND receive the Special Added Bonus of $500.00 when each person you personally sponsor cycles! If you are a Beginner or a Seasoned Mail Order Pro, here are 3 GREAT Programs in One. 1.) You make money with your Program that is Printed & Mailed to 2,000 Hot Prospects. 2.) You can offer a 2,000 Print and Mail Service for just $25 for a 1-sided circular. You will keep $10.00 on every sale you make for each 1-sided Circular Printed & Mailed to 2,000. 3.) When you sell a 2,000 Printing & Mailing to a customer, She or he will be entered in a 4X3 MLM Forced Matrix (which is a total of 84 people), with No Monthly Dues, No Sales Quotas and No Qualifying Requirements! You will receive a $750.00 Check when your 4X3 Matrix is Full. Take advantage of my Specially designed Flyer to Sponsor as many people as you can so you can earn money selling the Printing and Mailing AND help each person you sponsor to fill their downlines quicker, which helps you fill your downline MUCH FASTER and earn that $750.00 each time you fill your 4X3 matrix! 1.) You make money with your Program that is Printed & Mailed to 4,000 Hot Prospects. 2.) You can offer a 4,000 Print and Mail Service for just $45 for a 1-sided circular. You will keep $5.00 on every sale you make for each 1-sided or 2-sided Circular Printed & Mailed to 4,000. 3.) When you sell a 4,000 Printing & Mailing to a customer, She or he will be entered in a 4X3 MLM Forced Matrix (which is a total of 84 people), with No Monthly Dues, No Sales Quotas and No Qualifying Requirements! You will receive a $2,000.00 Check when your 4X3 Matrix is Full. Take advantage of my Specially designed Flyer to Sponsor as many people as you can so you can earn money selling the Printing and Mailing AND help each person you sponsor to fill their downlines quicker, which helps you fill your downline MUCH FASTER and earn that $2,000.00 each time you fill your 4X3 Matrix!